A plan to allow popular online petitions to be debated in Parliament within a year has been given the go-ahead by the government. Ministers will seek agreement with the authorities, including the House of Commons Procedure Committee, to give the petitions parliamentary time. Those receiving most support - probably 100,000 signatures - would be debated, with some possibly becoming bills. But Labour said the plans would mean "crazy ideas" being discussed by MPs. The government intends to shut down the e-petitions part of the Number 10 website, which has been suspended since the general election, and open a similar facility on the Directgov website. This would be more closely moderated, with petitions checked closely for "eligibility". In June, the Leader of the Commons, Sir George Young, said the plans - first spelt out in the Conservative manifesto - would go ahead. He indicated at the start of December that the petitions website would be moved to Directgov. A government source told the BBC that the plans had been recently discussed by ministers and said they were very confident they would go ahead. The proposals have yet to be taken through cabinet, and ministers have not yet discussed them with the Speaker, John Bercow. The consent of Mr Bercow and the Procedure Committee would almost certainly be required. Petitioners would have to be on the electoral roll and parliamentary time might also be refused if a topic had been recently debated. Labour MP Paul Flynn, a member of the Commons public administration committee, criticised the government's proposal, telling BBC Radio 4's Today programme: "This seems to be an attractive idea to those who haven't seen how useless this has been in other parts of the world when it's tried. "If you ask people the question 'do you want to pay less tax? ', they vote yes. If we get the e-petitions in there will be some asking for Jeremy Clarkson to be prime minister, for Jedi and Darth Vader to be the religions of the country. "The blogosphere is not an area that is open to sensible debate; it is dominated by the obsessed and the fanatical and we will get crazy ideas coming forward." BBC News political correspondent Ross Hawkins said that allowing petitions to be drafted as parliamentary bills would be more difficult and would take longer to put in place. The government envisages using the private member's bill procedure, which would require an individual MP to support the measure and would be easy for other members to block. 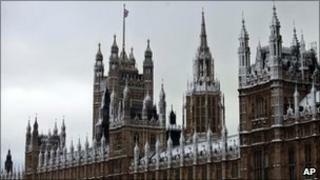 There are no details on how planned legislation would be taken through the Lords. Petitions were introduced to the Downing Street website by the former Prime Minister, Tony Blair. The most popular, with more than 1.8 million people in support, opposed road pricing. More than 70,000 backed the one-word suggestion that Gordon Brown should "resign". And almost 50,000 signed up to the idea that TV presenter Jeremy Clarkson should become prime minister.